Hmmmmm…how do you handle the truth when you see it? To compromise in a relationship is to accept standards that are lower than desirable. To compromise in a relationship is to settle for less and to give up something of value to get what you want. 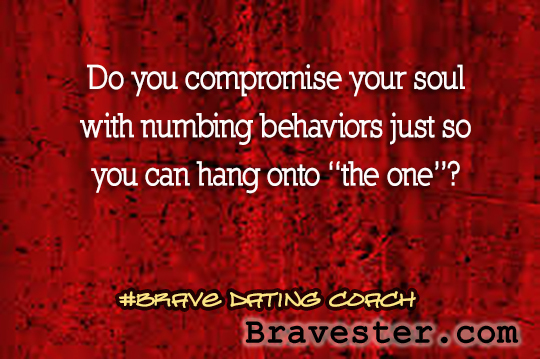 Have you compromised yourself to be with this “one”? Have you justified your decision making because he/she has a quality that you desire? Are you overlooking (or outright lying to yourself) about a behavior your boy/girlfriend is doing? Have you contorted yourself so you don’t have to “see” the truth? Are you hanging on to the lie that once you get married things will be different? That once you get married you will then be in a position to ask him/her to change? Or you believe that once you get married this boy/girlfriend will desire to make the changes you would like because he/she loves you that much because marriage will make it to be? Do you have the bravery to cancel your wedding 8 days out because you have decided to stop adjusting to the truth and compromising your soul? Marriage is not a 50/50 proposition. It is not two half people finding each other to become whole. 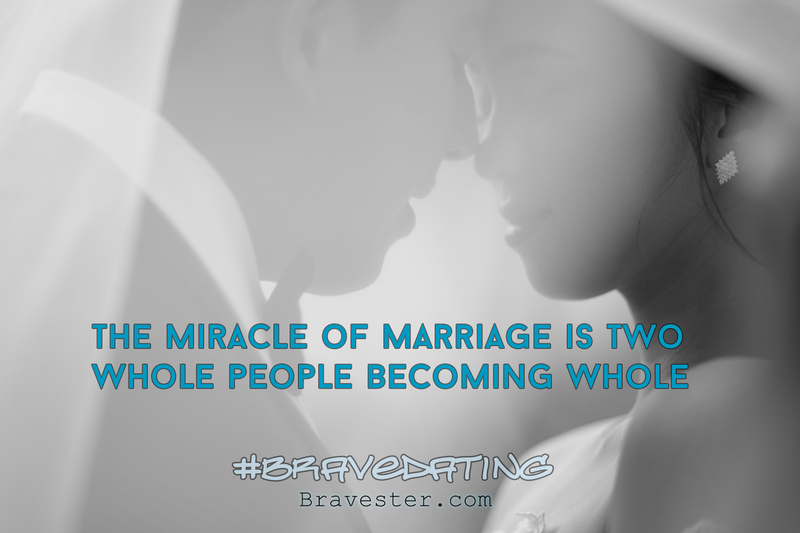 Marriage is a miracle. It is two whole people becoming whole. No wonder God needs to be involved! Supernatural invention is needed! God completes you and God completes the one. Marriage will not complete you. The thought of marriage completing you is romantic until you think deeper on it and wonder how can that wounded person really complete me? What does he/she have to offer me in my woundedness? Sympathy? Pity? The same wounding? Bad coping skills which is why they are still wounded? He/she will try to teach me those bad coping skills? Follow this thought through its progression and see if you also don’t start feeling the desire to run away. It takes some bravery to follow this thought through its progression. It is easier to adjust to the truth. It is easier to compromise the soul. For now. There are two issues in a marriage which you cannot compromise on. Which means this starts when you are dating, ahem! One is moral issues and the other is faith issues. Both are core to your identity. Both are core to your conscious. Both are core to your formation of who you are as this grown adult in this relationship. Both are what gets compromised to keep a relationship. I have the stories to tell. Your life also has this story to tell, right? All regrets come when one or both of these areas are compromised. It might be a nice to hear an opposite story. I once counseled a very young engaged couple. My advice was for them to end the relationship because they had so little in common to build a marriage on. Her parents took it a big step further and paid for them to do an intensive residential one-week premarital counseling program. The psych evaluation came back that the only thing they had in common was their commitment to make a marriage work. Ten years later they are still married. It has not been beautiful or romantic and it is has been hard work but this moral value has pushed each of them to individual wholeness in the middle of marriage and they are finding out that they really do love each other. It is a beautiful ending. But you don’t want to do all that hard work. And very likely this one you are compromising your soul for to hang on to him/her does not have that high value to make a marriage work. Why should he/she? You are not making the decisions now like this is a high value for you. When you lower your morals and/or your beliefs (so often they go together), you are opening the door to get something you don’t want. When you do this before marriage, you set the foundation to be this. You compromise your soul because you think you will never find anyone else with good standards. 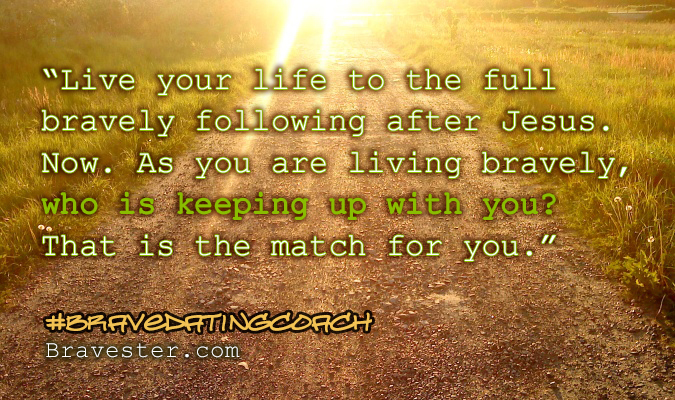 You compromise your soul because you don’t want to wait for your good match. (Which then you can stop working on your own growth and isn’t that easier most times?) You compromise your soul because you think a cellphone and a brick is enough. You compromise your soul because you don’t think you are enough. There are three obvious signs that you are doing this. One is isolation. As this relationship is growing you are finding that you are being isolated from the friends (and maybe even family) you had before this relationship. Or maybe you are the one making the decisions to isolate yourself from these supportive, been-there-for-you people. 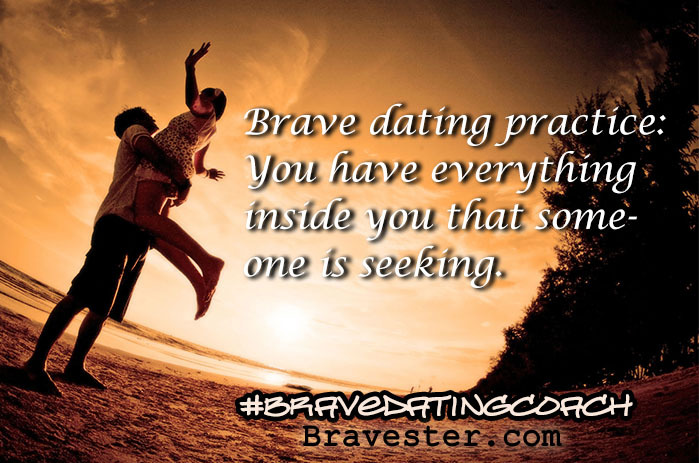 Don’t excuse this isolation because you are “goofy-in-love” and want to spend every minute together. Pay attention to why you are isolating. I pray your isolation makes you uncomfortable. The second obvious sign is the growing shame you are feeling, especially as you “run into” these friends you are isolating from. You’ve had that experience, right? When you saw this friend and hoped you wouldn’t be seen. But then you are so you immediately start formulating lies in your head to make it sound like you are happy and okay. Then as you are talking to this friend you can’t believe how fake you are sounding and you remember how you never thought you would be fake with this friend. But you justify this awkwardness because this relationship is “so terrific” and this is who you’ve been waiting for and your friend will one day come to see how awesome this relationship is. But the shame still is inside of you. All of your justifications do not take that away. Pay attention to this shame. The third obvious sign is you know you are lying to yourself. You know it. But aren’t brave enough to do anything about it. It is easier to adjust the truth. Thank you for being brave enough to read this one all the way to the end. It would be easier to click out of this. This one is going to change your compromised soul and bother you. Hopefully bother you enough to make the brave changes. May you know this. Be brave.